We hear it over and over again: Networking is a key to success. And in this day and age of computers and ‘e’-everything, the internet and email provide more networking opportunities than ever before. Think about the potential of one email. AWLN currently has 176 members. (That’s an increase of 46 members in just the last month!) If one email notice is sent to those 176 members, and they each in turn forward that email to 100 others, we have reached 17,600 individuals in just a matter of minutes. With that in mind, we’re asking you to help spread the word about AWLN and their events. Please forward this newsletter to other Asian women you know. Together we can help this network continue its rapid growth, and provide additional networking opportunities for each member. Be sure to also spread the word about other AWLN announcements and events, such as our upcoming website and this month’s Overview and Book Signing Event with Jane Hyun, author of newly released Breaking the Bamboo Ceiling: Career Strategies for Asians. We also look forward to hearing from our members. Let us know how AWLN is doing and how we can continue to help you achieve your career goals and strengthen your network. Email us at communications@awln.org. AWLN will host a workshop session and meeting at this year’s Women of Color Conference. Watch for details in upcoming issues of AWLN News and member emails. 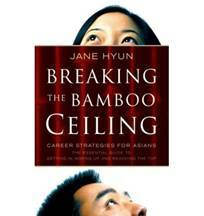 Author, Executive Career Coach and Diversity Trainer Jane Hyun will share key themes from her new book, Breaking the Bamboo Ceiling: Career Strategies for Asians and sign copies for attendees. Despite popular media’s stereotype of Asian Americans as being highly educated and successful, they are all but absent in executive suites. Diversity strategist Jane Hyun exposes both the personal and organizational barriers to success for Asians in corporate America, and shows Asian professionals how to develop new skills and leverage existing ones so that they can penetrate the barriers and access better career opportunities. Filled with personal anecdotes, interviews, and case studies, the book provides strategies for those who want to succeed at work while offering helpful advice for companies who want to realize the full potential of their employees in an increasingly multicultural workplace. Jane Hyun, Principal of Crossroads Associates, is a leading executive coach and diversity strategist to Fortune 500 companies, schools, and nonprofit organizations. Previously, she was a VP of Human Resources at JP Morgan, and Director of Recruiting at Deloitte & Touche and Resources Connection. She has been an advisor to Monster.com’s Diversity and Inclusion channel and is a senior coach with the Five O’Clock Club. She has appeared on CNN, CNBC, and other national media. She serves on the Advisory Board for the Johnnetta B. Cole Diversity & Inclusion Institute. A former adjunct professor of Career Planning at City University of NY, she lives in New York City. Her groundbreaking book, Breaking the Bamboo Ceiling: Career Strategies for Asians (HarperCollins), will be released on May 3, 2005. This article is the second in a series of articles on mentoring. First, have a clear sense of what you are striving to accomplish. Determine what your goal is in a mentoring relationship (e.g., learn to navigate through a large organization, develop your leadership skills, overcome stereotypes, enhance your visibility and self-promotion skills, and/or develop greater knowledge in your profession). While considering your goal, also review your performance evaluations and consider feedback you’ve received from different sources. This will help you determine your objectives. Knowing what you want is key to identifying someone who can be an effective mentoring partner. Second, establish a plan for sourcing your mentor. A mentor can be someone within or outside of the company you work for. It can be your immediate manager, another manager (usually one or two levels up), a leader at another organization or even a peer of yours. Talk to other Asian women and your colleagues to determine the names of successful mentors. You may decide to have multiple mentors. Some questions to consider as you are developing a list of potential mentors: Has this individual successfully mentored others or coached their staff? Is the person a subject matter expert in the area I am interested in? Is the person a respected leader or manager capable of providing open, honest and direct feedback? Does the individual have the occasion to observe you perform or get feedback from others about you? Do you want an Asian woman as a mentor or a person of a different race or gender? Third, asking someone to be your mentor may feel awkward, especially if you and the person do not know each other. Some mentoring relationships are structured through formal mentoring programs, while others are informal and evolve over time. In the initial meetings of informal mentoring relationships, describe your goal, explain how you selected him/her as a mentor and ask questions to determine if the chemistry is right between the two of you. Establishing trust is critical in a mentoring relationship. A successful mentoring experience is a mutually rewarding relationship that benefits both the protégé and the mentor. Remember that the protégée is responsible for keeping the mentoring relationship on the right track. Next month, read our third article - Developing the Mentoring Relationship. If you have a mentoring story you’d like to share or have a question, please e-mail us at communications@awln.org. See our April Newsletter for Part 1 of this series. 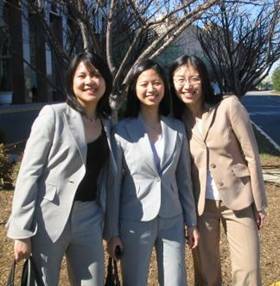 On April 9, 2005, I drove with three friends from New York City to Washington, D.C. to attend the 14th Annual Committee of 100 Mentoring Session. The Committee of 100 is a national non-partisan organization composed of American citizens of Chinese descent. Each member has achieved positions of leadership in the United States in a broad range of professions. Members of the C100 include Lisa Ling, Yo-Yo Ma, Connie Chung, and Jerry Yang. 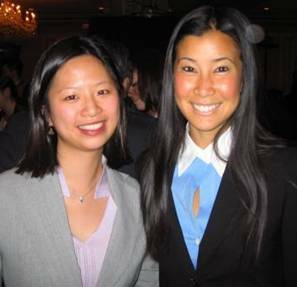 This year’s conference was entitled “Scaling Great Heights, Inspiring New Visions.” AWLN’s President Meow Yee also attended, representing IBM, and was recognized for sponsoring the Mentoring Breakfast along with Verizon. Passion: What do you have a passion for? Lisa acknowledged that some jobs may not pay really well. But often, if you have a passion for something, you’ll do it well. And if you do your job well (that’s key -- doing your job well), you can succeed. Imagine your potential when you do what you love. Lisa loves what she does. Networking: We may not be naturally inclined to network, because some of us were brought up being told that we should focus only on studying hard. But it’s obvious that mentors have a strong network and work hard to build and maintain it. This is where AWLN can really help you. Volunteer: Don’t underestimate the power of volunteerism. It helps you to build skills that you otherwise may not in the workplace. You also meet others with similar interests. The entire event was invaluable in more ways than one! As my friends and I drove back to NYC, we couldn’t stop raving about how much the event inspired us. We met some amazingly accomplished and dedicated individuals.